Sewing machine model, RS422 interfaced. 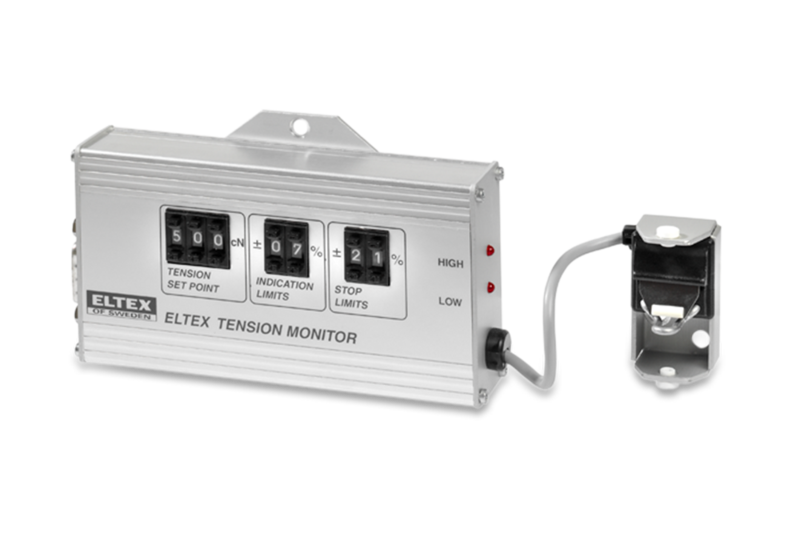 The Eltex Electronic Tension Monitor (ETM) is an on-line device for sewing machines and similar applications. The device monitors the thread tension and acts as a thread break detector. 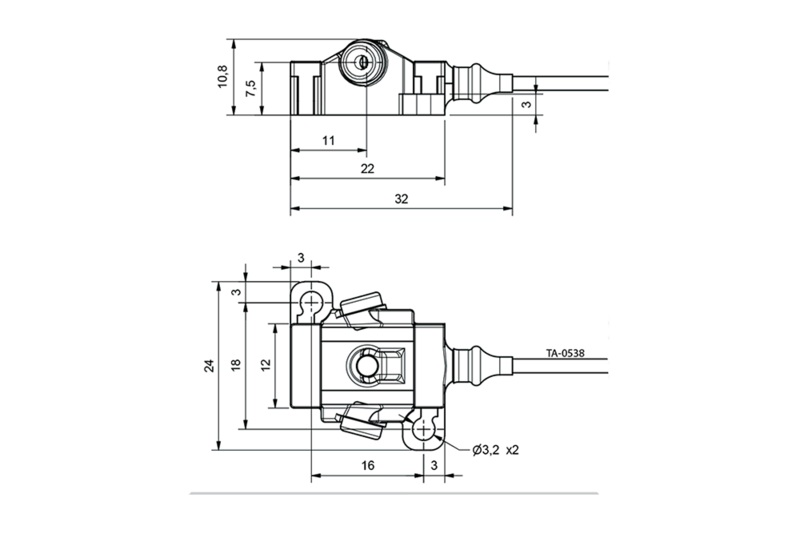 It enables the operator to keep the thread tension within the desired tension range for best operation and quality of the seam. The ETM422 communicates through an RS422 interface to a host computer. This allows the user to set limits and to watch alarms and readings on the computer display. 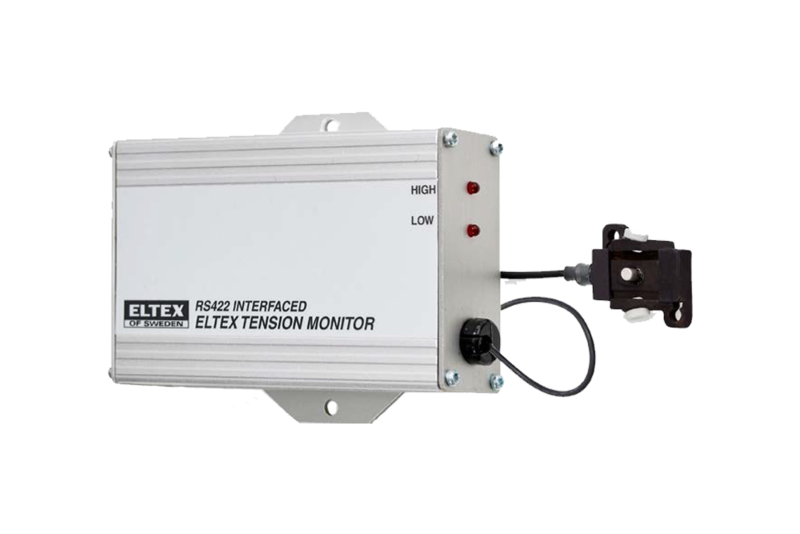 *Note 1: At supply voltage 38 Vdc and power supply start-up time = 30 ms.
• Monitors thread tension according to limits set by the software through RS422 interface. 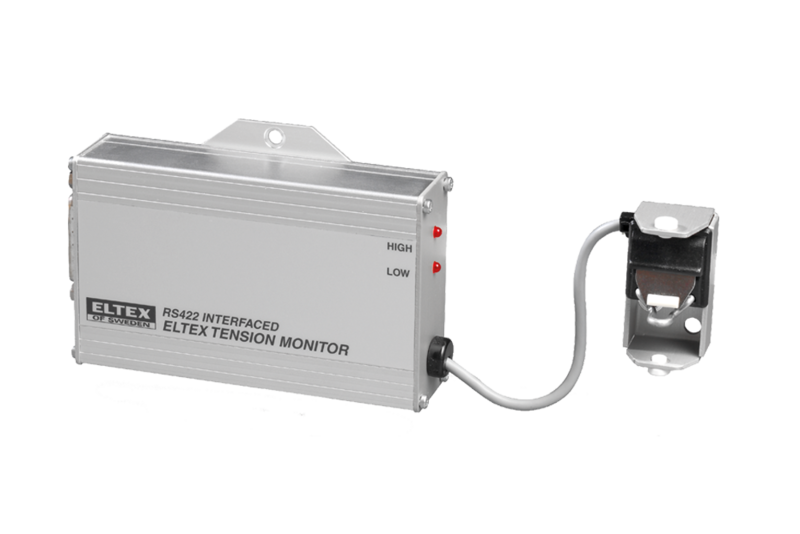 • Programmable RS422 message with peak tension and monitor status for every stitch. • Programmable stop filter function. • Generates stop pulse when thread tension is outside the selected Stop Limits. • Separate sensor head and electronics enables fitting in tight areas. • LED indication of monitored limits and synchronization input. • Alarm message possible through RS422 line and separate optocoupler output. • Factory calibrated – no manual reset. 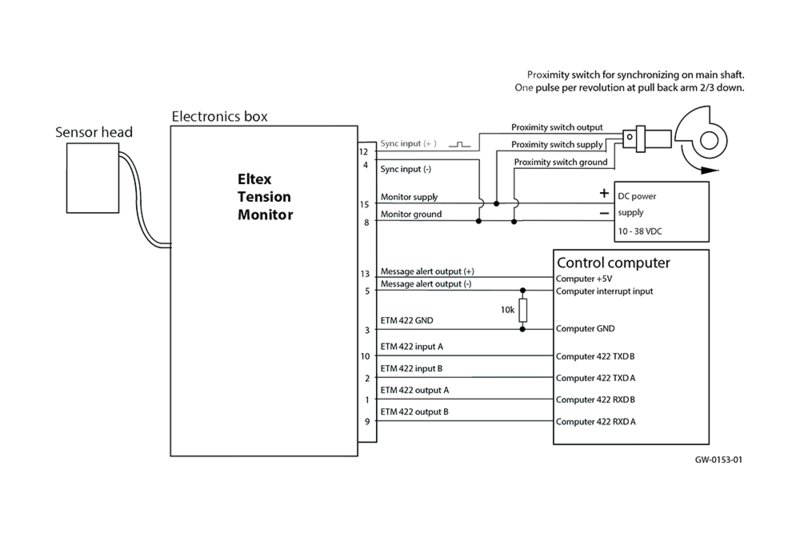 • ESD protected inputs and outputs (optocoupler). • Allows you to operate with the correct thread tension. • Acts as a thread stop motion / thread break detector. • Alerts the operator to dirt and dust in the thread tensioners. • Makes it easier for the operator to set the correct bobbin tension. Sewing Machine Model, RS422 interfaced with miniature head. The sensing head on this model has a very low profile. Sewing machine ETM model 14600.
desired tension range for best operation and quality of the seam. generate a stop signal to the machine. 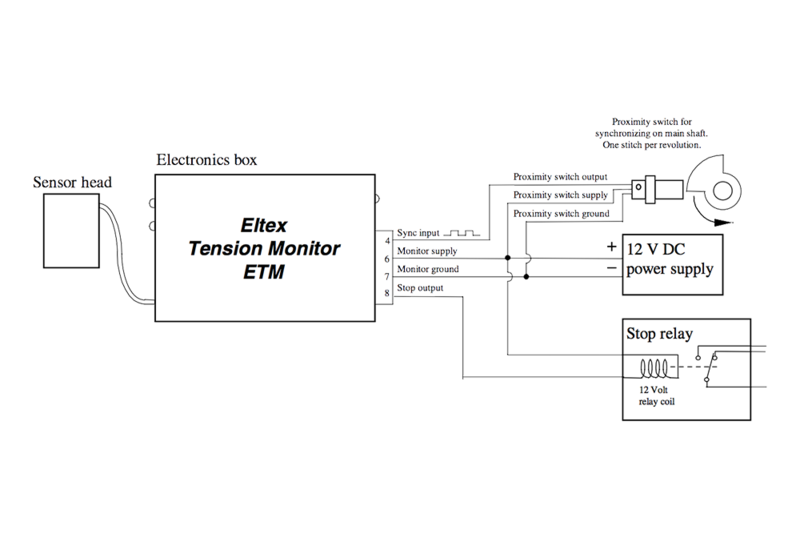 • Monitors thread tension according to selected Indication Limits. • Easy setting and clear readings through standard code switches. • LED indication at Synchronization input. 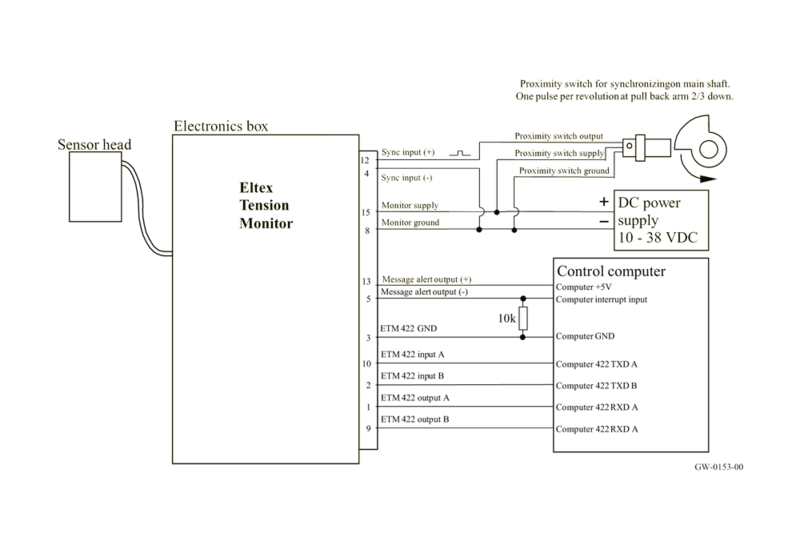 • Open collector stop output allows different power sources for stop relay. • ESD protected inputs and outputs. • Standard 9-pole D-sub connector. • Allows you to operate with the correct yarn tension. • Gives you a possibility to equalize the bobbin thread consumption (multineedle machines).